Once again this year the Woodhall Spa 40s Festival has a large variety of living history groups displaying and exhibiting. There is a greater emphasis on Airborne Forces this year to commemorate the 75th Anniversary of Operation Market Garden. This the daring assault by the Allies to capture strategically vital bridges thereby to bring a rapid victory to World War II. The battle at Arnhem bridge was fought by the Parachute Regiment and the glider troops of the 1st Airlanding Brigade. More about Woodhall’s important role in this battle HERE. Re-enactor displays about Arnhem can be found in the Pine Woods, so do be sure to visit the camps here. 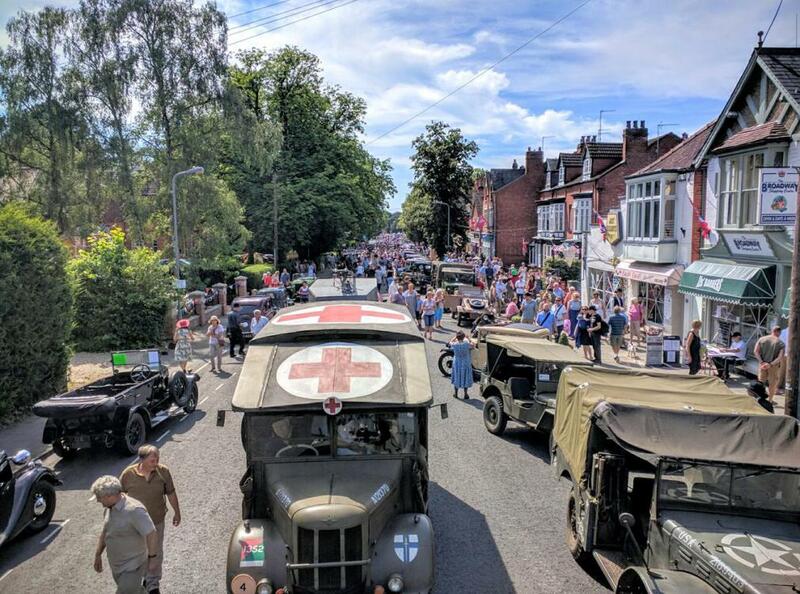 In Jubilee Park you can wander around displays by living history groups of World War II: tanks, armoured vehicles and jeeps galore together with the crews tents and equipment. Are you a living history group and would like to come to our Festival?